A high quality mixed use, retail led development in Doha, Qatar. 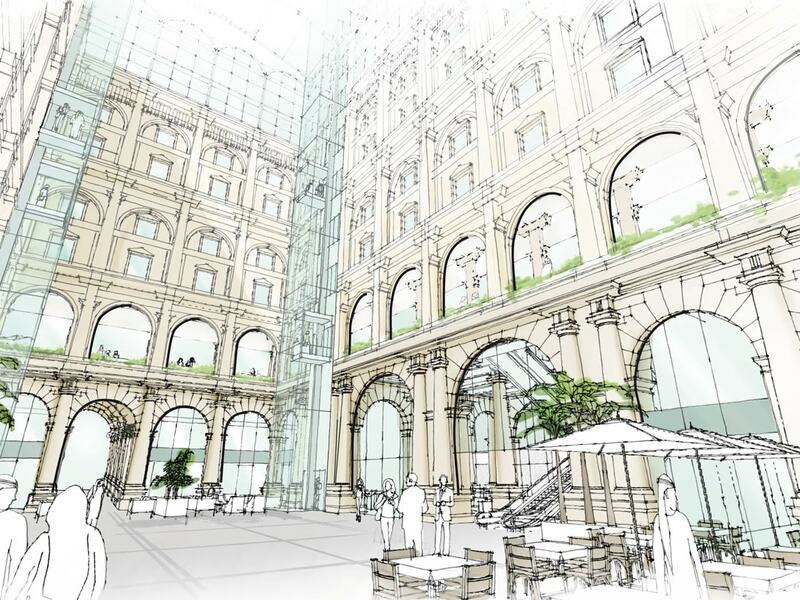 LOM have worked with The Commercial Bank of Qatar and Arab Engineering Bureau to develop the concept and interior design for a new mixed use landmark development on Al Sadd Street in Doha. The building adopts a striking Beaux Arts style, creating a distinctive and finely worked presence on this key route. Built around an impressive internal atrium space, the building offers a prestigious retail mall at the lower levels providing boutique fashion and jewellery outlets together with cafes, restaurants and a flagship Commercial Bank branch. 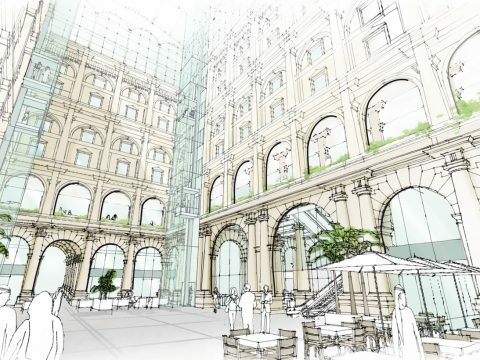 At the upper levels the development includes six storeys of high quality commercial office space with views and circulation around the central courtyard.